Fostering a culture of education in our young women. that honors black women in the Quad City area. The non profit organization Gathering of Women host Annual Tea Parties that honor black women in the Quad City area. They have honored over 100 Black women in the past 9 years. 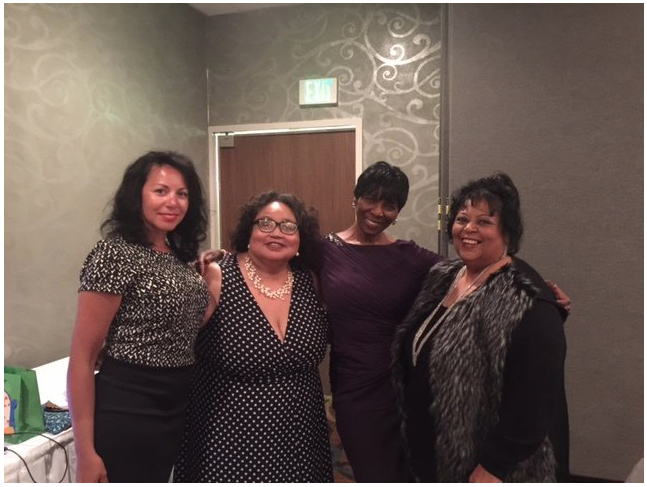 Gathering of Women members are Shirleen Martin [founder], Bobbie Lastrapes, Mary Cribbs-Teague, and Tyla Cole. The categories that the past honors have been given are in Education, Civic, Youth, Business and Health. These women are automatically known for what they do by all in the African American QC Village. These “Black Treasures” are women who tirelessly continue to work in a variety of ways to make the “Village” a better place for not only African Americans but for all Quad Citians. The Tea Party is a way of not only honoring these women but it gives all attendees an opportunity to fellowship, bond, network , re-connect and receive emotional nourishment from each other - a Sisterhood. Knowing that they will continue working in our community and our daily lives gives the community a chance to let these women know just how much they are truly valued. Some of the honorees tell their own story and allow our youth in the audience an opportunity to listen, visualize and realize that there are role models and mentors in our own community; specially women who stand and work for the betterment of all. Dreams can be fulfilled, adversities can be overcome and goals can be met. The non profit organization Gathering of Women hosts an Annual Tea Party’s that honors black women in the Quad City area. They have honored 150 honorees within the last 12 years. Gathering of Women members are Shirleen Martin [founder], Bobbie Lastrapes, Mary Teague, and Tyla Cole. Copyright ©2019 gatheringofwomen.org. All Rights Reserved.